The court ordered the defendants to pay for refunds to consumers they harmed, in violation of the court order. The court also modified the original FTC settlement by permanently barring the marketers from promoting and selling credit repair, debt relief, or government benefits products or services. 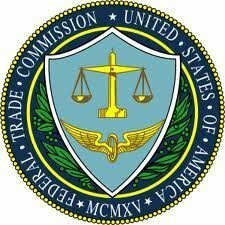 In April 2011 the FTC charged Sam Tarad Sky, Allrepco LLC, Credit Restoration Brokers LLC, and Debt Negotiations Associates LLC with violating a March 2010 court order resolving charges that they deceptively marketed credit repair and debt relief services and illegally charged an up-front fee for credit repair services. The FTC also alleged the defendants falsely told consumers that almost anyone can qualify for food stamps, and encouraged them to mislead the government about their finances so they could qualify for the food stamp program. The 2010 settlement barred the defendants from deceptively marketing any good or service and from violating the Credit Repair Organizations Act. Nevertheless, in its recent civil contempt order, the court found that Sky and his companies used the Internet to promote a food stamp application guide that falsely promised it would show how "almost everybody" or "virtually everyone" can "legally apply for food stamps" or "legally get [food stamps] for free." Under longstanding government restrictions, only low-income households can qualify for the federal food stamp program. In the guide, however, the defendants repeatedly told consumers to provide the government with misleading information in order to inflate their chances of being deemed eligible. The court found that following this advice could leave consumers open to civil or criminal charges by the government. In the contempt order, the court also found that defendants charged up-front fees for credit repair services, failed to make required disclosures about their debt relief services, and failed to fully report Sky's business activities, all in violation of the 2010 settlement. In issuing the contempt order, the court found that consumers paid the defendants more than $32,000 for food stamp, credit repair, and debt relief services while the settlement was in effect. The court found the defendants liable for this amount, and ordered that the money be used to pay back consumers who were injured from defendants' violations of the settlement.